Did you know ants outnumber humans 140,000:1? However, that shouldn’t be a ticket to get into your home. Spring and summer time welcome change for just about anyone. The weather starts getting a little warmer, the environment gets greener, and we can enjoy outdoor activities more often. A downside to this wonderful time of the year is that it brings back a ton of pest control problems for property owners. One of the most annoying pests during this time of the year is the ant. During late spring or early summer, ants begin making their mounds and scouting for food. If you are not careful, they will begin taking up residence in your home. Monitoring ants are crucial. Watch the ants around your property, especially if they are moving in large numbers or obvious trails. Tracking the ants will lead you to identify the nest and water and food sources they have found in your house. Food and water sources can be found in your kitchen cabinets, sink or garbage cans. You could also monitor the exterior of your house, taking note of the cracks and holes where your electric wires and plumbing get into the house. Try to find nests. Check for mulched areas or vegetation that could be close to your house. Check under bricks, potted plants and inspect piles of wood or other materials. Properly cleaning your home will not prevent the occasional appearance of a scout. However, it will minimize foraging. Make sure you store pet food in airtight containers. If you make spills or splatters, ensure they are promptly cleaned. Ants have a heightened sense of smell. Regularly take your trash out and address any leaking pipes and faucets or areas with regular condensation. If you have spotted ants foraging in your house, address their food and water source. 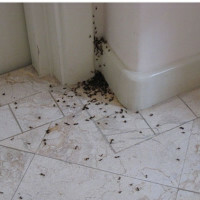 Use household cleaner detergents to wash the floors and counter where ants have travelled. This will help erase marked trails. If you are certain that ants are indeed entering your home, seal any openings on your home’s exterior with caulk. Ensure that you use close spaces that are around structural elements such as pipes and wiring. Keep piled leaves, or mulch away from areas that are close to your house. Make sure you regularly inspect your home. Also, take note of when ants tend to invade your home, you could use this knowledge to counter their invasion timelines. When it comes to getting rid of ants, slow acting products are the best management tools. Ant baits have a mixture of food and insecticide that acts slowly to allow foragers to transport material back to their nest. Once the laced bait is in contact with the rest of the colony, it will do its task, eliminating the entire colony. Baits are available in various forms such as; liquids, and solids for use in bait stations. The best way to use baits is to clean bait area off any food that might distract the ants from taking the bait. If you have pets and children, make sure you place the baits far from their reach. Alternatively, you could use non-toxic baits such as diatomaceous earth. Sprinkle it around the perimeter of your house to prevent ants from crossing. Remember, with the DE; you must reapply regularly every time it rains. DE can also be used to lace ant baits, just like store-bought bait stations. If you have an ant problem and would like to get rid of them entirely, you could consult a pest control service. A pest control expert will be able to investigate the location of the nest, find out why they are infesting your house, and get rid of them. They will also advise you on the best prevention actions you can take to stop the insects for coming back. Are All Large Black Ants Carpenter Ants? 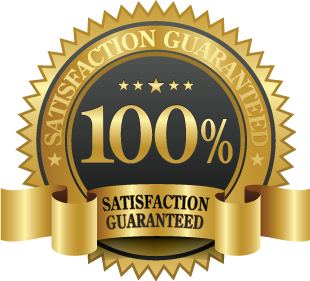 Reliable and affordable ant extermination solutions in Toronto. We deal with all types of ants, regardless of how complex the infestation is. Call us any time to book a treatment or an inspection.